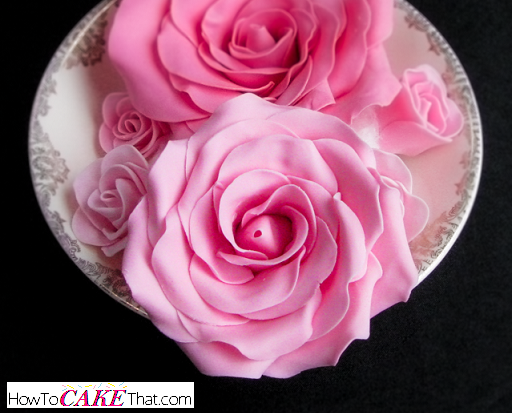 Sugar roses are the perfect accessory for any elegant cake. 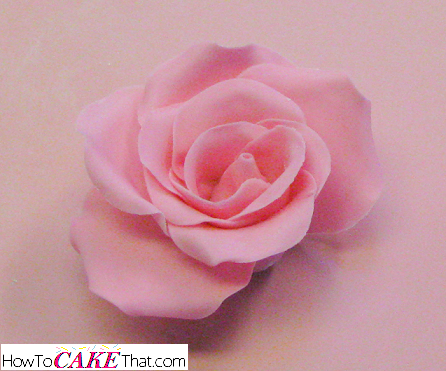 And making a realistic edible rose isn't as difficult as you may think! 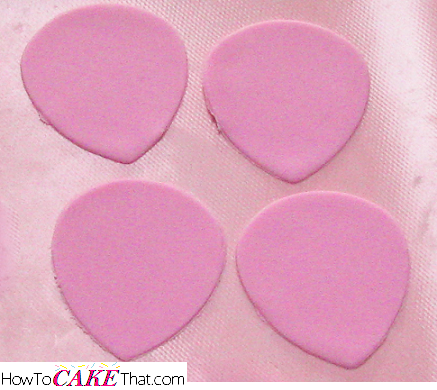 All you need are a few tools, a set of either rose petal cutters or circle cutters, color gel (if using), and fondant and gum paste. Keep in mind, edible roses will need adequate drying time, so plan ahead. I let my roses dry for at least 24 hours before using on a cake. To begin this tutorial, we will need to decide how small or large we would like our rose to be. 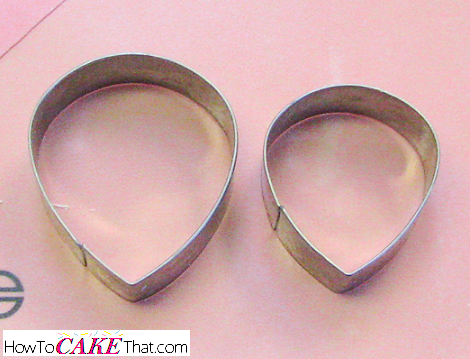 Choose a rose petal cutter (or a circle cutter can be used) for the inner petals. Next, set aside the next size larger cutter, this will be used for the outer petals. 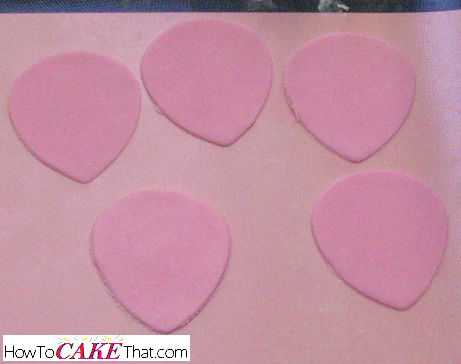 For fondant roses, I like to use a blend of 50% fondant, 50% gum paste. 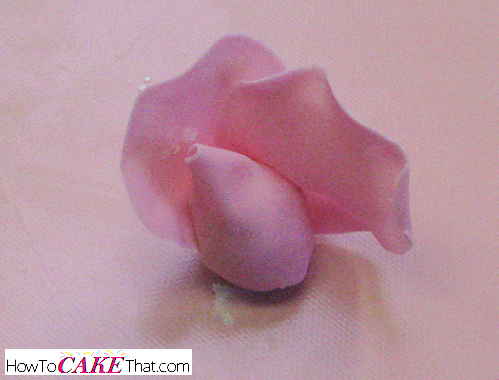 If you'd like your rose to dry quickly, feel free to use 100% gum paste. 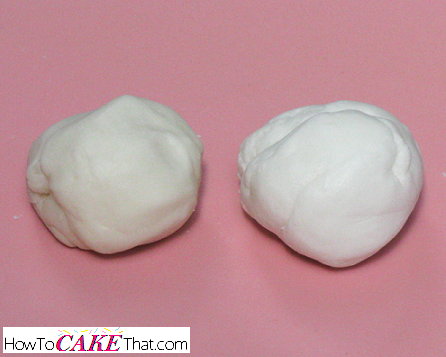 Knead fondant and gum paste together until well blended. 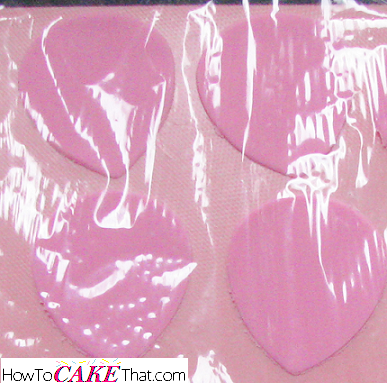 Color fondant/gum paste blend with gel food colors if desired. Now it's time to form the center of the rose. 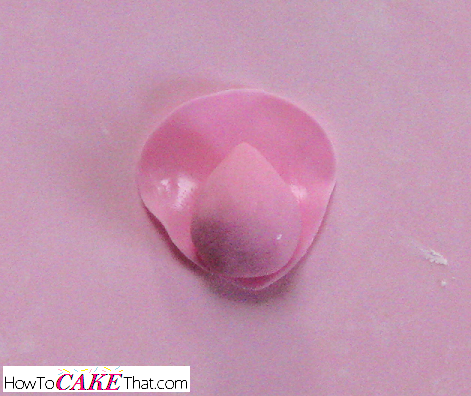 To do this, use a little of the fondant/gum paste mixture and form a tear drop shape slightly smaller than your small petal cutter. 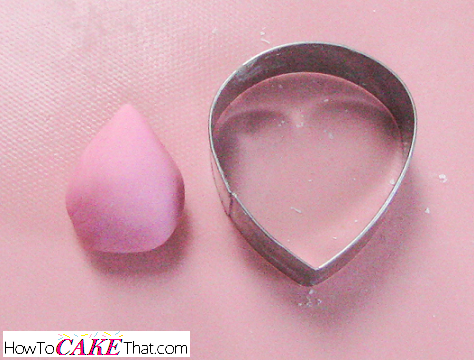 We want to ensure that the inner petals will be able to cover the tear drop. 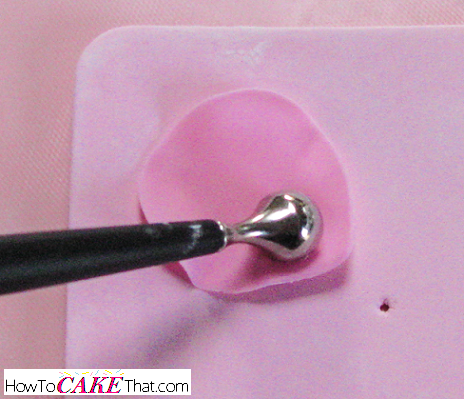 Next, dust your work surface with cornstarch and roll out the gum paste/fondant mixture very thin over it. I roll mine out so thin that you can start to see through it. 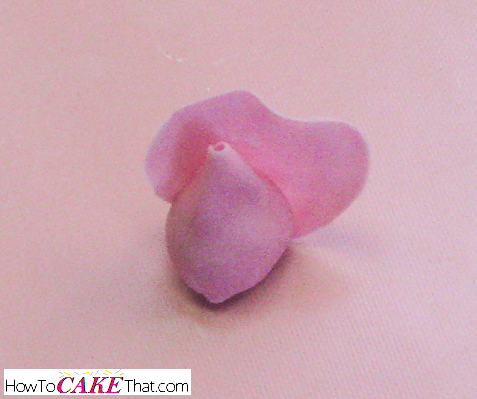 Remember, real rose petals are thin and delicate, so you'll want your fondant rose petals to look as close to the real thing as possible. 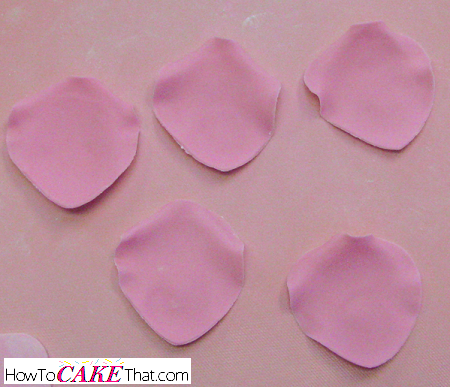 Cut four petals from the rolled fondant with the small "inner petal" cutter. To keep the petals from drying out too quickly, cover them with plastic wrap or a bowl turned upside down. Now it's time to form the first inner petal. 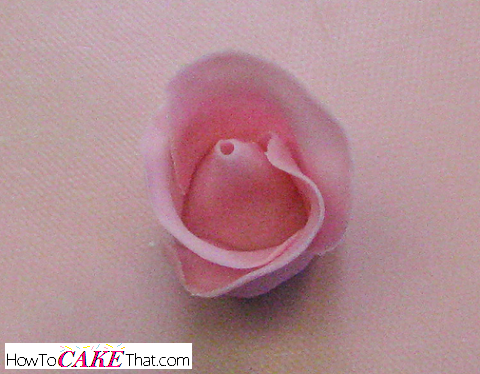 Remove one petal from under the plastic wrap and place on flower shaping foam (I'm using the shaping foam by Wilton). Next, use a ball tool to thin out the edges of the petal. Gently run the ball tool around the petal's edge to thin it and give it a slight ruffle, leaving the bottom 1/3 of the petal untouched. The bottom of the petal needs to remain thick. Next, place the ball tool near the bottom of the petal and gently press and move in a slight circular motion to create a small round indent. This indent will give roundness to the petal and allow it to form around the tear drop. To glue the center petal to the tear drop, paint a thin coat of either water or sugar glue on the bottom half of the petal. Now place the tear drop on the center petal. Be sure that the bottom of the tear drop sits at the bottom of the petal. 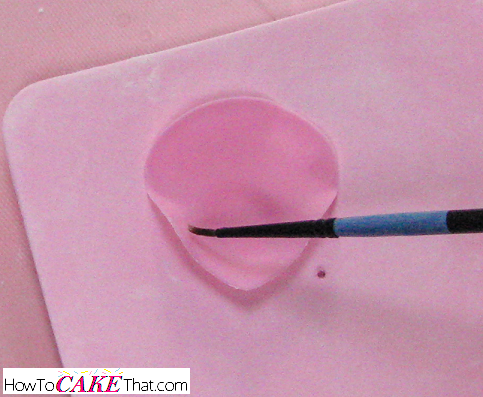 Next, fold the left side of the petal over the tear drop. 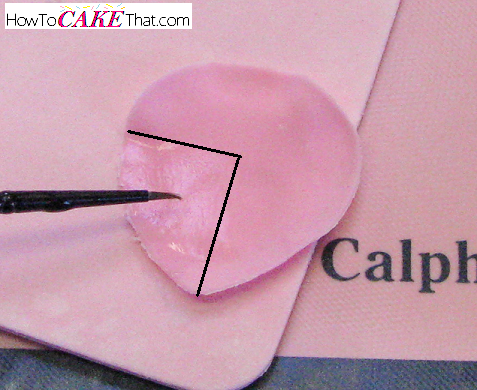 Next, fold the right side of the petal over the tear drop, slightly overlapping the edge of the left petal. 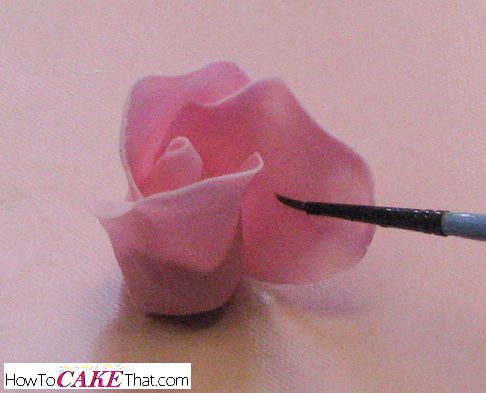 Use a little extra water or sugar glue to seal the edge of the petal if needed. Next, we will be surrounding the tear drop and center petal with the remaining 3 petals. Using one petal at a time, form the petal with the ball tool just like with the first petal. Then paint water or sugar glue on the bottom left quarter of the petal. Then adhere the petal to the center petal and tear drop. Be sure the petal sits slightly higher than the center petal. 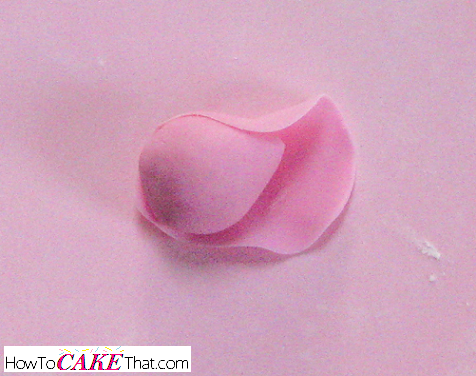 Allow the right unglued portion of the petal to sit away from the tear drop. Form the next petal with the ball tool and flower foam the same way as the previous petals, and brush water or sugar glue on the bottom left quarter just like the previous petal. Slide the second petal slightly under the first petal so the first petal slightly overlaps it. Form the third petal as before and adhere it to the tear drop by sliding it slightly under the second petal. Brush water or sugar glue on the right bottom quarter of the petals and press them inward to adhere them to the other petals. The center of your flower should look something like this. 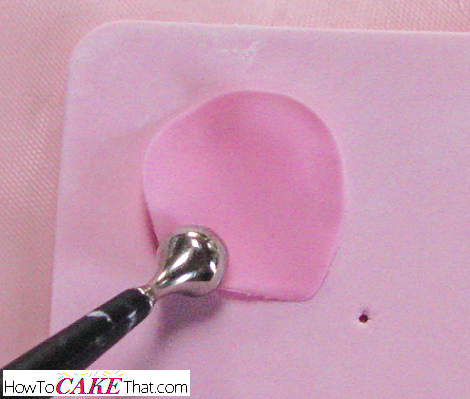 Using the small "inner petal" cutter, cut out 5 petals from freshly rolled thin fondant/gum paste. Cover petals with plastic wrap or a bowl to keep them from drying out too fast. Form the flower petals just as before, and attach them the same way as the last layer of 3 petals. Next, using a bamboo skewer, gently roll some of the edges of the 5 petals to give the petals a little natural shape. Now it's time to use the larger petal cutter! 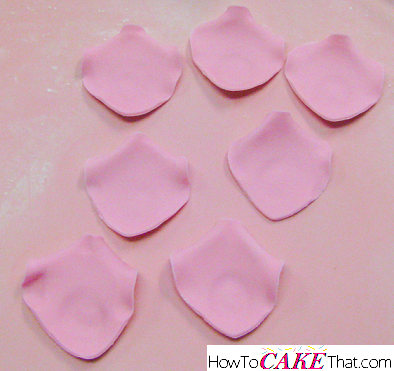 Roll out the fondant/gum paste mixture very thin and cut and shape 5 large petals. Using the bamboo skewer, gently roll the right and left edges of each petal under. Allow petals to sit uncovered for 5 to 10 minutes to slightly harden. Next, attach the petals the same way as before. Your rose can be finished at this point if you're happy with it! Or you can continue on and add another layer of petals. 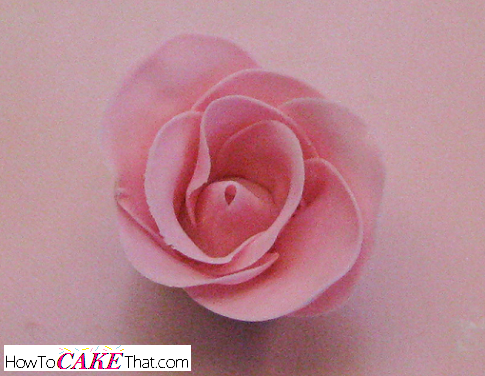 If you'd like to add another layer of petals, roll out fondant/gum paste and cut out 7 petals with the large petal cutter. Shape them and attach them to the rose the same way as the other layers. 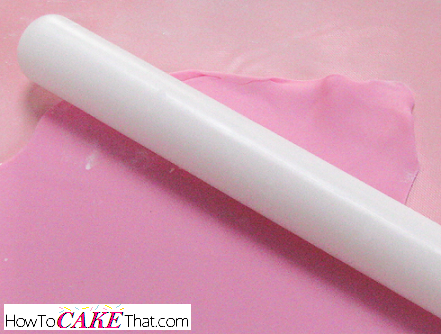 Allow rose to dry for at least 24 hours before using it on a cake. If you need your rose to dry quickly, place rose inside an oven, close the door and turn only the oven light on. Your rose should be dry within 4 to 12 hours depending on size. 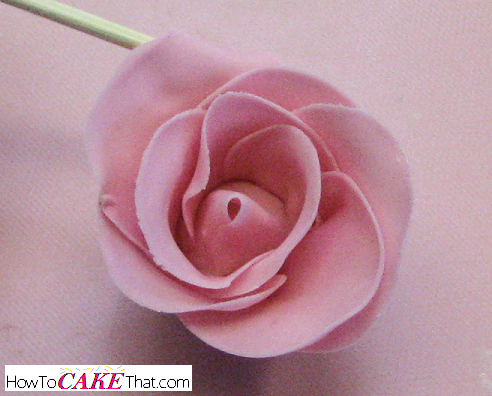 And that's how you make a realistic fondant rose! I hope you have enjoyed this tutorial! God bless!